The U.S. Department of Transportation said it awarded more than $46 million to state governments for oil and gas pipeline inspections. The grants provide up to 80 percent of operating costs for state pipeline regulators that agree to pipeline inspections on intrastate pipelines on PHMSA’s behalf. Participating states and territories account for more than 300 inspectors who are responsible for over 90 percent of the country’s intrastate natural gas and hazardous liquid pipelines. More than 2.6 million miles of pipeline transport oil and gas to homes and businesses throughout the country. Final pipeline inspection grant amounts are awarded based on State expenses and annual performance scores. Committee will analyze whether diluted bitumen has an increased potential for release compared to other crude oils. NACE International – The Corrosion Society along with three of its ‘Fellow’ membership will participate on a newly appointed National Academy of Sciences (NAS) committee formed to analyze whether diluted bitumen (dilbit) transported by transmission pipeline has an increased potential for release compared with pipeline transmission of other crude oils. The NACE Fellows are Dr. Brenda J. Little of the Naval Research Laboratory, Dr. Srdjan Nesic of Ohio University and Dr. Joe H. Payer of the University of Akron. A chief concern about the transport of Canadian crude through the proposed Keystone XL pipeline is a claim that dilbit poses more release risks than other types of crude. In particular, the committee will examine whether there is evidence that dilbit has corrosive or erosive characteristics that elevate its potential for release from transmission pipelines when compared with other crude oils. Should the committee conclude there is no evidence of an increased potential for release, it will report this finding to the U.S. Department of Transportation’s Pipeline and Hazardous Materials Safety Administration (PHMSA) by spring 2013. Alternatively, if the committee finds evidence indicating an increased potential, it will examine the adequacy of PHMSA’s pipeline safety regulations in mitigating any increased risk and report back to PHMSA by the fall of 2013. 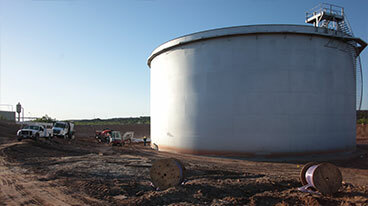 The Pipeline and Hazardous Materials Safety Administration and the National Association of Pipeline Safety Representatives are jointly sponsoring the public meeting June 27 in Fort Worth, Texas. A meeting to gauge gas distribution pipeline operators’ readiness for federal and state inspections of their integrity management programs has been set for June 27 in Fort Worth, Texas, by the Pipeline and Hazardous Materials Safety Administration and the National Association of Pipeline Safety Representatives. It is open to the public and will be webcast, according to PHMSA’s announcement. PHMSA and NAPSR representatives will discuss observations from initial inspections of operators’ implemented integrity management programs. PHMSA published a final rule in December 2009 setting requirements for ensuring the continued integrity of gas distribution pipelines; it gave operators until Aug. 2, 2011, to implement them. PHMSA and states have conducted some inspections and have many more inspections coming up, the notice says. The meeting will be held from 8 a.m. to 5 p.m. CDT at the OMNI Hotel, 1300 Houston St., Fort Worth, TX 76102-6556; visit http://primis.phmsa.dot.gov/meetings/Home.mtg to register and for additional information. Mayor Jerramiah T. Healy and Rep. Albio Sires (D-13th) are calling on the U.S. Department of Transportation’s Pipeline and Hazardous Materials Safety Administration (PHMSA) to better protect highly-populated urban areas from the explosive threat of natural gas pipelines. Arguing that PHMSA fails to safeguard densely-packed large urban populations, the officials are specifically demanding that PHMSA adopt new rules regarding the construction and operation of natural gas pipelines. Under PHMSA regulations, Healy said, cities as different as Jersey City and Huntsville, Alabama, receive the same consideration for pipeline construction, even though Jersey City’s population is about 20 times larger than Huntsville. Healy’s plea to PHMSA comes as another federal agency is considering whether to green-light a proposed natural gas pipeline that Texas-based Spectra Energy hopes to build. If approved by the Federal Energy Regulatory Commission, the proposed pipeline would include 19.8 miles of new and replacement pipes, six new stations, and other related modifications in Linden, Jersey City, and Bayonne. In Jersey City, the underground pipeline route would run through nearly every municipal ward and near such sensitive areas as Jersey City Medical Center, several schools, the Holland Tunnel, the New Jersey Turnpike, and transportation infrastructure near the Jersey City-Hoboken border. Because of the pipeline’s close proximity to sensitive areas, local activists and city officials have argued that a natural gas explosion could cause mass casualties and significantly damage important transportation infrastructure. To ensure that PHMSA’s regulations better reflect and protect urban areas the city, with the backing of Rep. Sires, has filed a petition asking PHMSA to change its pipeline safety regulations. The city’s proposed regulatory changes include the addition of new classifications to PHMSA’s rules that reflect cities with mid-rises, high-rises and skyscrapers, and the significant increases in population density that correlate with those structures, and the development of more stringent safety standards to protect large cities. But William Schulte, an attorney at Eastern Environmental Law Center who represents Jersey City’s No Gas Pipeline, said, “We often see companies claim that they are being safe and responsible because they are meeting regulatory requirements. But the fact is sometimes we see that the requirements themselves do not adequately protect public safety and welfare. The U.S. Department of Transportation’s Pipeline and Hazardous Materials Safety Administration (PHMSA) has proposed new procedures geared to strengthen excavation damage prevention programs and increase penalties for violators. Excavation damage continues to be a leading cause of all U.S. pipeline failures and is the single greatest threat to the safety, reliability, and integrity of the natural gas distribution system. Excavation activities accounted for more than 25 percent of fatalities resulting from pipeline failures in the U.S. between 2002 and 2011. An enforcement process to impose federal fines and penalties for violations. These new procedures would also address a congressional directive requiring PHMSA to establish procedures to evaluate state damage prevention enforcement programs. By law, PHMSA must establish these criteria prior to any attempt to conduct federal enforcement proceedings in a state where an excavator damages a pipeline. For more details about the proposed rule, including comments received from the agency’s Advance Notice of Proposed Rulemaking, visit PHMSA’a website at www.phmsa.dot.gov. A corroded pipe has been deemed the culprit of a massive natural gasoline explosion in Sweet Water, AL last December. A Transco natural gas pipeline ruptured at approximately 3:07 p.m. Dec. 3 with an explosion that could be heard for more than 30 miles while shooting flames nearly 100 feet in the air for over an hour. The pipeline was shutdown immediately after the failure as firefighters battled the blaze for the next 90 minutes. Stockton said the rupture forced the company to make several changes in its corrosion control program. Williams Gas and Pipeline has also been working under a PHMSA (Pipeline and Hazardous Materials Safety Administration) Corrective Action Order, which details actions required to be completed to ensure the safety of the pipeline prior to putting the pipeline back in service. In addition, he said, the company is taking steps above and beyond regulation to ensure the pipeline is safe. The operator of the trans-Alaska pipeline has reached a settlement with federal regulators to resolve four enforcement cases dating back to 2006. Under the deal, Alyeska Pipeline Service Co. will pay a civil penalty of $600,000, which represents a considerable savings over the sum of penalties the U.S. Department of Transportation’s Pipeline and Hazardous Materials Safety Administration had originally proposed. Michael Joynor, Alyeska’s senior vice president of operations, and Jeffrey Wiese, PHMSA’s associate administrator for pipeline safety, signed off on the “compromise agreement” on Nov. 15 and 16, respectively. As part of the deal, Alyeska agreed to drop a federal lawsuit it had filed against the agency challenging a fine imposed in one of the enforcement cases. Alyeska is the Anchorage-based consortium that runs the 800-mile trans-Alaska oil pipeline on behalf of owners BP, Conoco Phillips, Exxon Mobil, Chevron and Koch Industries. The seven-page settlement notes that Alyeska and PHMSA agreed the settlement will avoid further administrative proceedings or litigation. The settlement resolves four enforcement cases that PHMSA had opened against Alyeska in 2006, 2007, 2008 and 2009. All totaled, Alyeska was facing fines of $1,293,800 in the four cases, including $263,000 the company paid in 2010. Alyeska was facing its largest fine, $817,000, under a case brought in 2007. The alleged failures included a fire in the containment area of a crude oil storage tank at Pump Station 9 in which a portable heater ignited escaping oil vapors; a 900-gallon oil spill at a valve along the pipeline; and a failed operation involving a “scraper pig,” which is a device used to clean the inside of a pipe. Among other criticisms, the agency said Alyeska failed to properly report the fire and failed to follow its corporate safety manual, which requires keeping portable industrial heaters at least 25 feet from any oil, gas or electric process facility. In 2006, PHMSA issued Alyeska a notice of probable violation and, after a hearing held at the company’s request, issued a final order much later, in January 2010, assessing total penalties of $263,000. PHMSA alleged Alyeska committed two violations of pipeline safety regulations. First, it was too slow to obtain a vendor’s full report on a 2004 pig run to test for corrosion or other hazards on the pipeline, the agency said. Second, Alyeska failed to promptly repair a damaged segment of buried pipe near Mile 546, PHMSA said. In August 2010, after paying the $263,000, Alyeska sued PHMSA in Alaska federal court, arguing among other things that the fine was excessive. As a result of the settlement with PHMSA, Alyeska’s lawyers on Nov. 17 filed papers to have the suit dismissed. In 2008, PHMSA issued a notice of probable violation to Alyeska, proposing a civil penalty of $170,000. The agency said inspections along the pipeline, including at road crossings, turned up deficiencies in the company’s efforts to prevent corrosion. The case questioned Alyeska’s vigilance in using a corrosion-fighting technique known as cathodic protection, and also faulted the company’s record-keeping. The fourth case covered under the settlement was brought against Alyeska in April 2009, when PHMSA issued a notice of probable violation to the company with a proposed civil penalty of $43,800. The notice said that during an inspection, a flange was found to be inadequate for handling surge pressure at Pump Station 3, allowing the release of oil onto the station floor. Under the settlement, however, PHMSA withdrew the safety allegation regarding the flange. The $600,000 civil penalty specified under the settlement stems from only two of the four cases involved: the 2007 case and the 2008 case. “We worked with PHMSA for several months to reach agreement,” Alyeska spokeswoman Michelle Egan told Petroleum News. She said the deal closes “all open matters” with the agency. Noting the Feb. 9 natural gas explosion that killed five Allentown residents, the Pennsylvania Public Utility Commission last week proposed requiring gas utilities to file plans outlining how much aging underground pipelines leak and when the utilities intend to replace them. The PUC unanimously agreed without discussion to seek comments on the proposal, which was developed in light of “recent tragic incidents” as well as the growth of Marcellus Shale natural gas wells and changing federal gas safety regulations, a PUC statement said. Comments can be filed with the PUC up to Dec. 2. “These plans will tentatively be required to include infrastructure replacement time frames and a proposal for the means by which the cost of the infrastructure replacement program should be addressed in rates,” PUC Chairman Robert F. Powelson and Vice Chairman John F. Coleman Jr. said in joint statement. Under the proposal, utilities would have to file pipeline replacement and performance plans. The plans should include a time frame for replacing aging pipelines and performance standards that include damage prevention, corrosion control and distribution system leaks, it said. Utilities would have to file plans next spring or summer, with final approval by the PUC late next year or early 2013. Replacing old lines became a higher priority for Allentown on Feb. 9, after a pipeline owned by UGI Utilities installed in 1928 leaked, leading to the fatal blast at 13th and Allen streets. After the explosion, UGI released a plan showing it intended to replace six miles of old cast-iron pipeline in Allentown, more than doubling what it did in 2010. As of earlier this year, Allentown had 79 miles of cast-iron natural gas pipe beneath its streets and about 230 total in the Lehigh Valley. UGI officials Thursday had not had an opportunity to consider the PUC’s action, said Daniel Adamo, business development director. “UGI will completely review the tentative order and will plan to comment by the deadline,” he said. 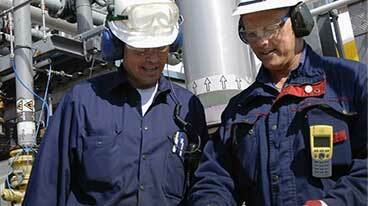 “We believe it is our responsibility to safely deliver natural gas to our customers,” he added. The commission action also requires gas utilities to provide distribution integrity management program plans, which are required by the federal government, with the PUC by Nov. 30. In 2009, the federal Pipeline and Hazardous Materials Safety Administration issued new regulations that required gas distribution companies, such as UGI, to adopt written plans for continuous review of data to identify threats to pipeline systems, evaluating risks, and implementing measures to reduce risks. As part of its proposed regulations, the PUC also plans to mandate “frost surveys,” which are leak surveys that utilities perform during cold weather months. The regulation would require frost surveys from Nov. 1 to April 30 each year. Previously, the PUC asked, but hadn’t mandated, frost surveys. The leak surveys are to be conducted weekly or monthly, depending on the location and size of the line, the PUC said. The utilities would be required to report all leaks every other week and provide a schedule for repairing them, it said. Millennium Pipeline has been given the go-ahead to return to full service, company officials said, after a natural gas leak led to a government investigation that uncovered missing weld inspection records. While the records weren’t located, new weld inspections were conducted to verify the integrity of four “suspect” welds that raised the ire of federal officials for inadequate paperwork. State and federal officials launched an investigation into the pipeline after a weld, located near the Broome-Tioga county border, sprung a leak on Jan. 11. The leak released an estimated 1.3 million cubic of feet of natural gas — enough to heat an average home in the Northeast for 18 years — before repairs were completed five days later. The results of that investigation were released in a U.S. Pipeline and Hazardous Materials Safety Administration document in July, which pointed to the three other welds in a 93-mile section of the Millennium system that were considered “suspect” because of missing inspection documents. Between the leak and the recordkeeping deficiencies, the July PHMSA document expressed concerns about the integrity of the pipeline as a whole. “Similar defects may also develop leaks and potentially lead to a rupture of the pipeline,” the federal document said. Following the report, Millennium reduced pressure on the pipeline — which can reach a maximum of 1,200 pounds per square inch, but is normally lower — by 20 percent until the integrity of the welds could be verified. On Sept. 21, Millennium and PHMSA reached a consent agreement, in which they agreed to conduct new testing to allay concerns about the welds by Dec. 31. The consent agreement document identifies the “suspect” welds with approximate locations that would place all four in either western Tioga or eastern Broome counties. Gibbon said the work was completed recently, and Millennium was given the green light to return to normal pressure in mid-October. An estimated $500,000 to $600,000 in “pig testing” — a process in which camera equipment is shuttled through the pipeline to collect data from the inside — in addition to nine investigative digs provided information that was missing in the records. The welds turned out to be OK, according to Gibbon. Pipeline operators are not required to conduct an X-ray inspection of every weld on a pipeline, even though it’s the best way to ensure the integrity of a weld. On top of that, government agencies don’t typically look over the shoulder of pipeline operators during construction to make sure every single weld has an inspection record. Case in point: Although the Millennium Pipeline gained government approval prior to going online in December 2008, PHMSA became aware of recordkeeping deficiencies only after the January leak. Gibbon said Millennium takes “full responsibility” for the missing records, and has both revised its recordkeeping system and launched its own internal investigation. “Even though we have modernized our system going forward, we’re going back and doing a very careful examination of where something could have slipped through the cracks,” she said. PHMSA did not respond on Monday to questions about the agency’s records on inspection policies. The only government research program dedicated to improving the safety of U.S. natural-gas pipelines has no plans to study whether key federal investigative recommendations made in the wake of the San Bruno disaster might save lives, officials say. 1. The government should end the practice of exempting aged pipelines from rigorous pressure tests. 2. Operators should add more automatic pipeline shut-off valves to save homes and lives in a disaster. But the government’s main pipeline regulator, the Pipeline and Hazardous Materials Safety Administration, says it has no intention of sponsoring research into whether those are good ideas. Instead, agency officials say, their energy is going toward working with private companies in developing new pipeline safety products. Pressure is mounting on the agency as members of Congress and safety experts call for more information about older pipelines in the aftermath of the San Bruno explosion and other disasters. Even industry has concerns. Cliff Johnson, president of the industry-led Pipeline Research Council International, said “there’s been kind of a hole” in the research program when it comes to “heartburn issues” like aging pipelines. The Pipeline and Hazardous Materials Safety Administration admitted to the safety board during the San Bruno investigation that it lacked big chunks of information about grandfathered pipes, including their location. But the agency said in a statement responding to a San Francisco Chronicle query that although doing a study on grandfathered pipe “may have some merit,” it was too “theoretical” to fit the focus of its research program. Instead of looking into the merits of forcing operators to test their older lines, the pipeline agency said it plans to focus on research to develop products and procedures that can be marketed for pipeline repairs, protection and inspections. The federal government will finance the research but involve companies that might market the results. The idea is to “operationalize new technology, as opposed to undertaking theoretical research,” the agency said. In other words, the results of these federally financed studies “can be quickly put into use,” said Olivia Alair, spokeswoman for the Department of Transportation, the pipeline agency’s parent department.